Much has been written on the grand prospects for "Information Society"; much less on what this might mean in everyday terms. So what do we find when we look at what is happening in a society, Finland, that is one of closest to an information society? 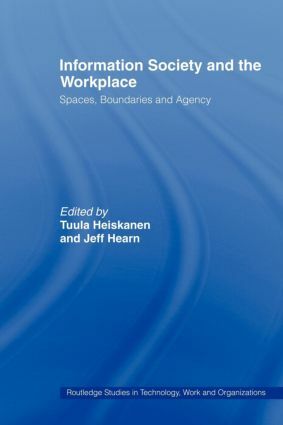 Bringing together studies of everyday local practices in workplaces within information society, this book has a special focus on social space and the agency of actors. It includes both theoretical reviews and detailed qualitative research. It also highlights the political challenges of the information society, challenges which are likely to become subjects of international concern.